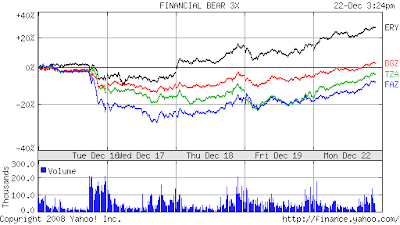 Goldilocks and the 3x ETF Bears! PS Good thing you went back to the west coast. We're freezing our okoles here in the midwest. 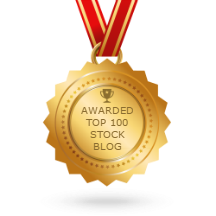 All rested and relaxed you are? Yay! How warm was Mauii? I noticed it is quite warm in Australia right now. The weather wasn't fantastic, but still very nice. 75 to 80 every day. Day 1 was a wash-out, though. Rained all day and muddied up the water for the next two days. Didn't have good snorkeling intil the last part of our trip. Kaanapali beach was very nice, though. The winds were much calmer than the last time we were there. 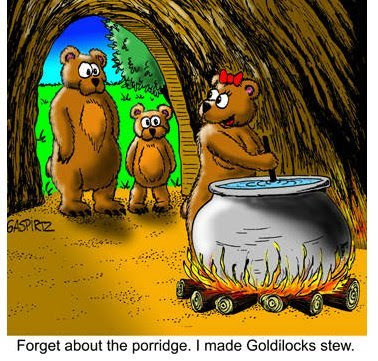 I think I will join Larry and Goldilocks in the stew.